Please review the following information before contacting us with your question. If your question is not addressed below and is a non-technical ticketing question or for general High Sierra Music Festival info, please contact us. If your question is not addressed below and you are having technical ticketing-related issues with your order, then contact Eventbrite. Where is the main box office located? Yes. We will have Single Day tickets available for purchase after we announce the daily artist schedule. Tickets are delivered upon purchase and can be accessed via your confirmation email or the EventBrite app at any time. 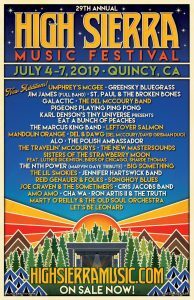 Once you purchase, you will receive an order confirmation email from Eventbrite on behalf of High Sierra Music Festival. IMPORTANT: If you do not see your order confirmation in your inbox, make sure to check your junk/spam folder. I got an AVS (Address Verification Service) mismatch when attempting to purchase. What now? Our credit card authorization features require exact AVS matches to protect your purchase. Please confirm with your bank the exact correct credit or debit card billing information on file including name, street address and zip code. The most common errors are omitting a middle initial (if it appears on your card) and an incorrect address. After confirming, please try your order again. The Late Night venues are intimate rooms with limited capacity; we can sell only a limited number of tickets per venue per night. 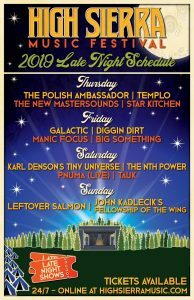 For a 10,000 capacity festival like High Sierra this means that only a certain number of festival patrons can (or would choose to) attend the Late Night shows. Late Night events are also costly to produce and we strive to keep the festival pass prices as low as possible. Rather than raising the price of the entire festival pass, we sell tickets only to those who wish to attend the Late Night shows. All artists performing in Late Night shows will also perform on the daytime stages. What’s up with that service fee? The service fee covers the overhead charges involved in box office operations not limited to ticketing software fees, labor and more. We make every effort to keep this service charge as low as possible. Thank you for supporting our independent business. Is camping included with my ticket? 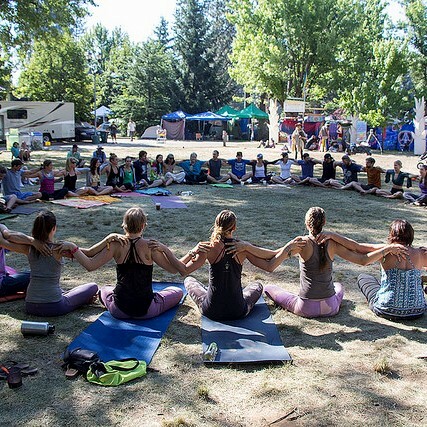 All multi-day passes include on-site camping. However, the on-site parking fee is NOT included. Click for more info on camping and parking. Single day tickets do not include camping. Is High Sierra Music Festival an accessible event for patrons with disabilities? Yes, absolutely. High Sierra Music Festival is accessible for all patrons with disabilities. Click here to view our complete accessibility information, including a new registration process so we can best accommodate your needs. What day and time does my favorite band play? 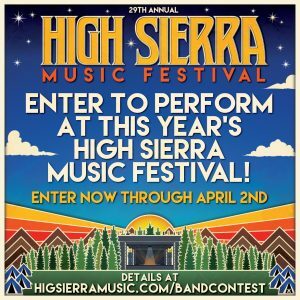 Please join the High Sierra Music Festival email list by scrolling to the bottom of the page and adding your email to the list, to get the latest High Sierra updates. When can I begin camping on-site and when do I have to leave? 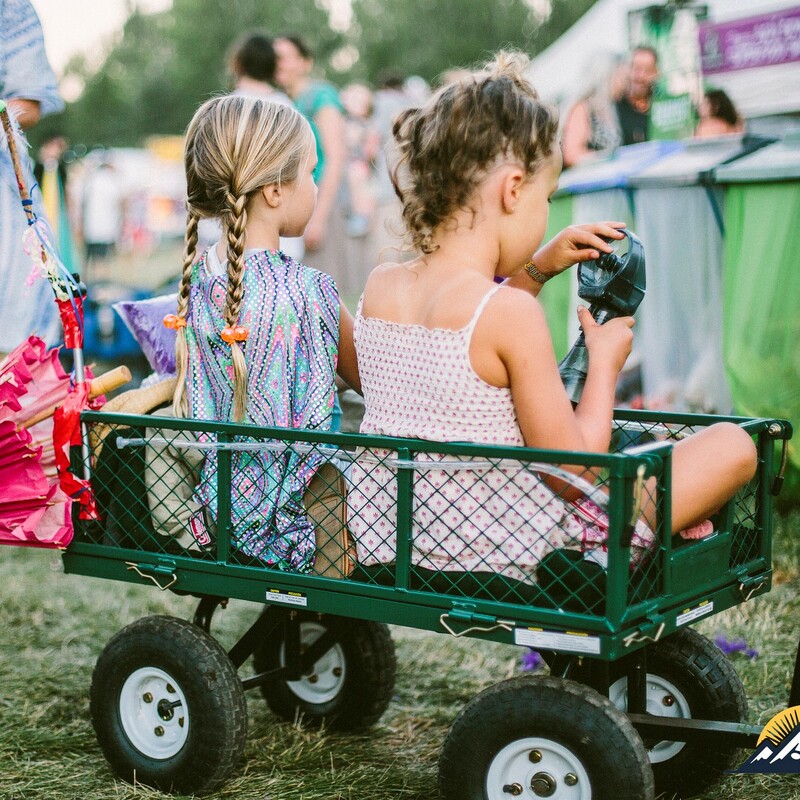 Gates open at 8AM on Thursday, July 5, and all multi-day campers are welcome to stay until noon on Monday, July 9th. Full arrival information and details will be posted on the website in the weeks leading up to the festival. Can I get a 2-day Pass for Thursday and Friday? No, 2-day Passes are for Saturday & Sunday only. 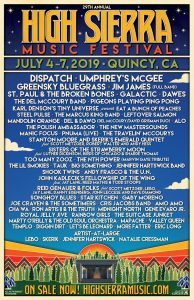 Can I camp with a single day pass? Yes. 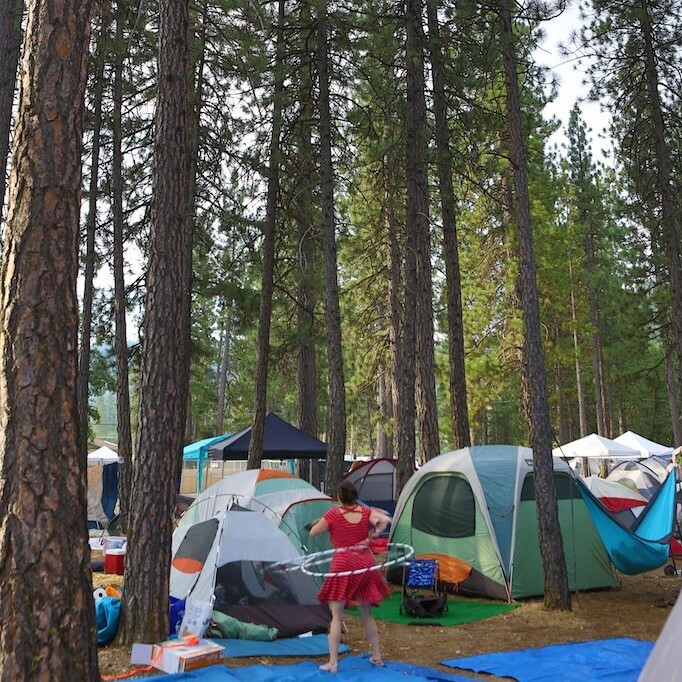 Camp Panorama Off-Site Camping is available to all Single Day ticket holders. The purchase of (1) Camp Panorama Off-Site Campground Pass is required per vehicle to park in Camp Panorama. Please visit the Camping and Parking page to learn more about Camp Panorama. You can also visit the Plumas County Lodging Page to learn about lodging options in Quincy. Please note that on-site camping is not permitted for Single Day ticket holders. Yes, Kids and Teen Passes are sold separately and available for purchase. I changed my plans and can come for all four days! How do I upgrade my 3-day Pass? If I purchase an early bird ticket and later secure a volunteer position at the festival or on street team, can I get a refund?